Sermilik Fjord on the East Coast of Greenland. The expedition was designed to show how versatile the sport of stand-up paddle boarding is and how it can be done anywhere in the world. The idea was created by the founder of London’s only paddle boarding company, Active 360. “I really wanted to show that paddle boarding isn’t just a beach sport - it’s the world’s fastest growing sport and can be enjoyed all year round on rivers, lakes and on open water - it’s accessible, safe and a great way to keep fit, enjoy the outdoors and see nature at close hand,” said Director Paul Hyman. The expedition included experienced polar explorer Justin Miles, as well as Charlie Head, who paddled 1000km around the British coast from Lands End to London in 2012. This year Charlie is planning to paddle board across the Atlantic, solo on a custom-made paddle board. "The ice was a bit of a problem in that there was actually too much (unlike other trips I've been on with too little!) which was quite unusual for this time of the year and was attributed, by locals, to a longer winter. That being the case, we didn't get quite as far as we would have liked to (up the Sermilik Fjord), but the project was still a success. We met a few glaciologists from Cambridge University in Kulusuk who were in the region measuring the speed at which the Helheim Glacier is retreating and it was quite astonishing to hear that it's currently eroding at around 25 meters per day. They think that this is due to a slight shift in the direction of the Gulf Stream which is forcing warmer water into the fjord, which is in turn undercutting the face of the glacier. The idea of the expedition was to use it as a focal point for the rest of the project and it did, without a doubt, have the desired effect. By using 'Polar Bears and Paddle Boards' as our 'sentinel', we managed to successfully support our chosen charities and encouraged literally hundreds of people in the UK out onto paddleboards through our events." 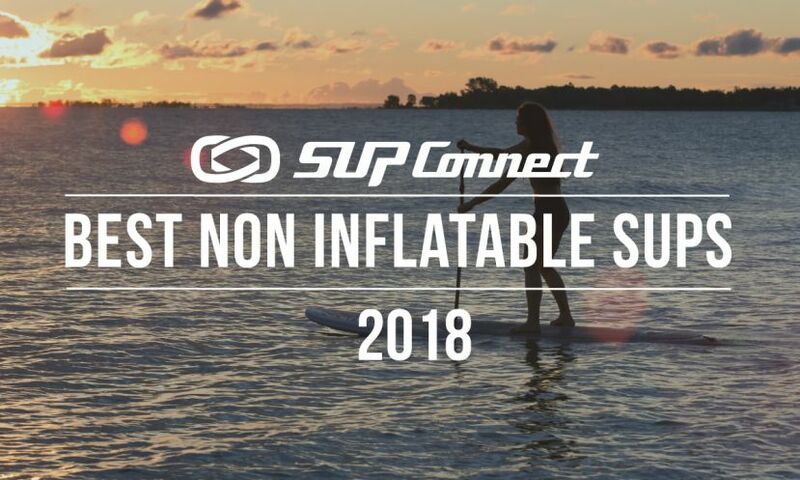 To read about more stand up paddle boarding journeys check out our SUP Journeys section. Filmmaker Justin Hankinson has over 15 years experience in the TV and video industry as a Producer, Director, Director of Photography and Editor. The projects he's worked on include documentaries, music promos, corporate videos, worldwide viral campaigns, festivals and events both in Europe and the UK.